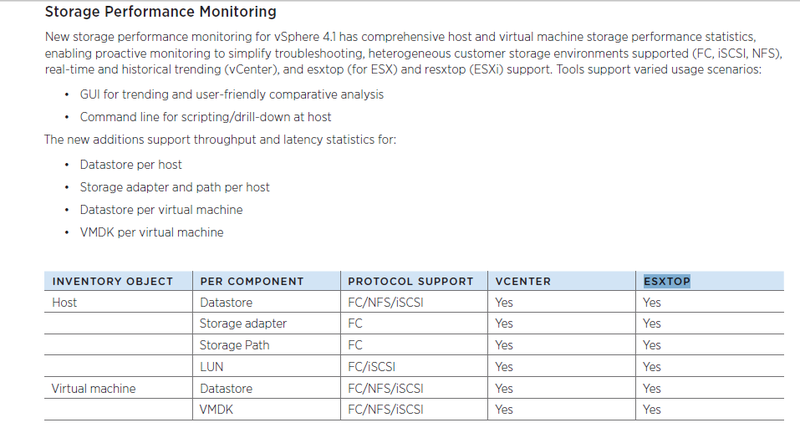 vSphere 4.1 has been released for a while. But It’s difficult to find an post dedicate for the difference between ESXTOP 4.1 to it’s previous version. This post will include difference and some explanation. Please feel free to leave any comments. I have few posts regarding in ESXTOP so let’s see what’s new in version 4.1. Note: All ESXTOP I refer in this top will apply to resxtop in the vSphere CLI or vMA as well. First of all, Vmware finally claims ESXTOP can be used to monitor NFS protocol, which is a good news for users who have NAS. 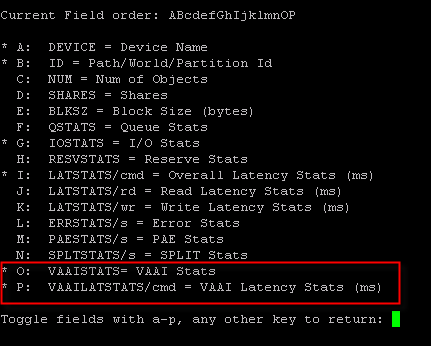 The limitation of 2TB for maximum datastorage starts to block VMFS in it’s own way. More and more company started to use NAS to act as central data center. 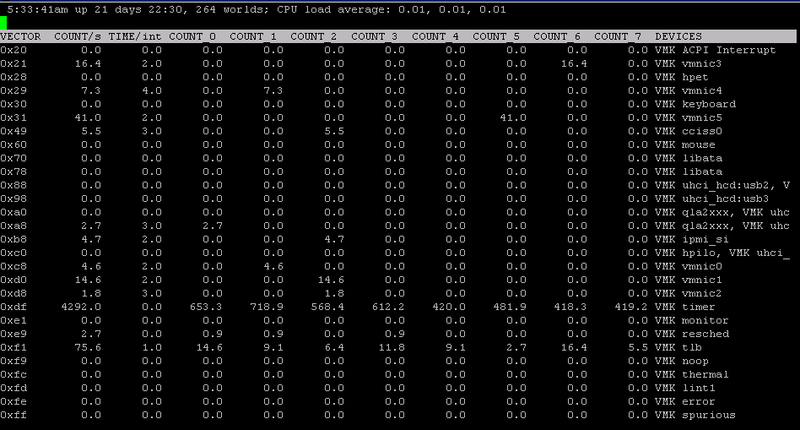 We used to use vscsistate to check out performance of NFS, now ESXTOP finally supported it too. 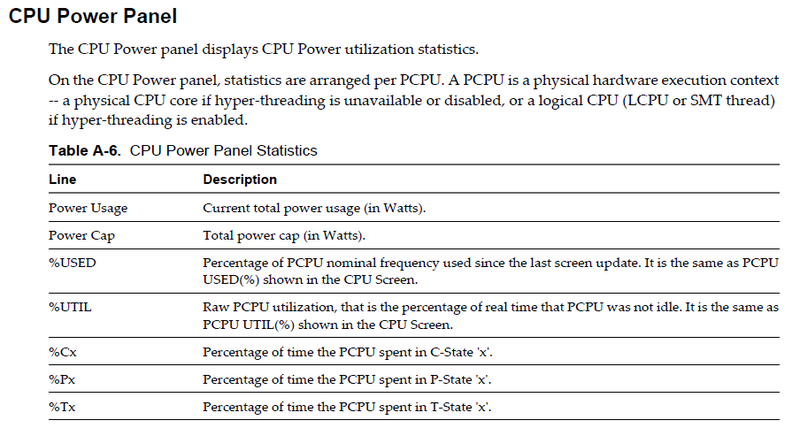 In this new version of ESXTOP, you will be able to monitor how much watts your CPU consumes. I can quote some explanations from Vmware doc. 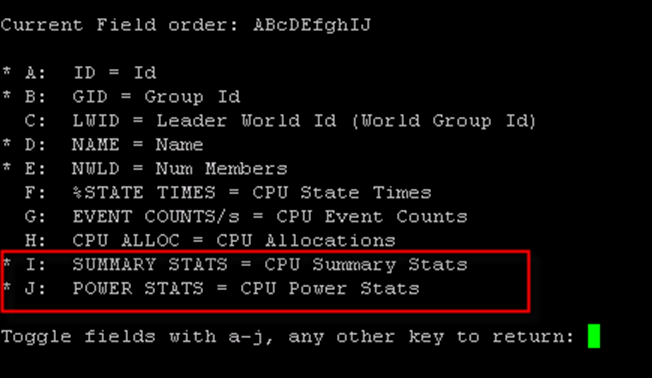 But I am not able to explain why my idle session has %14 %LAT_C and %799 for %DMD. This is one of new feature vSphere 4.1 brought to us. The ESXTOP does support it. 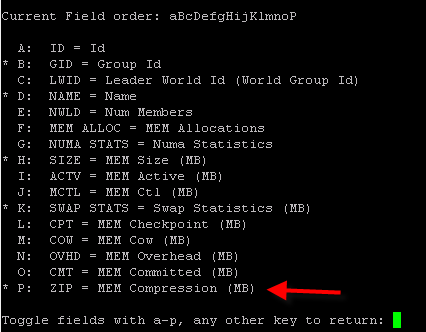 If you have read my previous post, you would know Vmware started to use new name convention in the v4.1. If you haven’t read it, please click here. Since we have used new name for UUID, vml, and identify name for device. Thing changed in disk monitor. ESXTOP has Storage Adapter Panel (press d), Storage Device Panel (press u) and VM storage panel (press v) to read information like latency and I/O information. In the newer version of ESXTOP, some of meters have been removed and replaced. Just see the diagram and you will understand the change. It’s still there. Except name has been changed to COUNT_x. All rights. To summer this post, there are some new changes in almost all the areas. 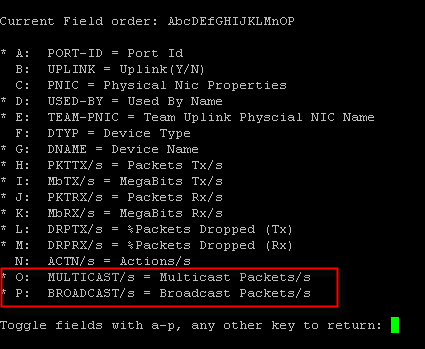 But no new panel appears and esxtop still can be used in batch and replay model as usual. Please let me know what you think. Have fun.